The IRS recently announced more flexible terms for its Offer in Compromise settlement program. These new rules enable some of the most financially distressed taxpayers to clear up their tax problems. IRS Settlements are now easier to obtain and less costly. Schlack & McGinnity, P.C.’s attorneys each have more than 20 years of experience successfully negotiating settlements with the IRS, and David Schlack is a former IRS Revenue Agent and Instructor. We provide a wide array of tax advisory and tax relief services including special emphasis on negotiating tax debt settlements, audit representation, and tax planning strategy and transactional advisory services. 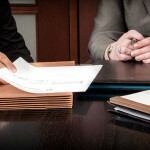 epresentation, and tax planning strategy and transactional advisory services. Obtained an IRS settlement of $116,000 for a client and his corporation whom owed 8 years worth of income taxes and corporate payroll taxes totaling more than $950,000. We’ll be glad to discuss your tax relief and tax advisory service needs.